Almost immediately after starting my digest post about places that I wasn't getting time to go to, and adding Mitsuya to that post, I found myself in Asagaya, so was able to revisit the place. I went there a few times a few years ago, but for one reason or another I didn't add it at the time. I think possibly this was because I was more focused on Japanese beer on this blog at that time. Since then though, criteria for inclusion on here has changed a lot and I now feel it's definitely worth an entry. Here's what you need to know. 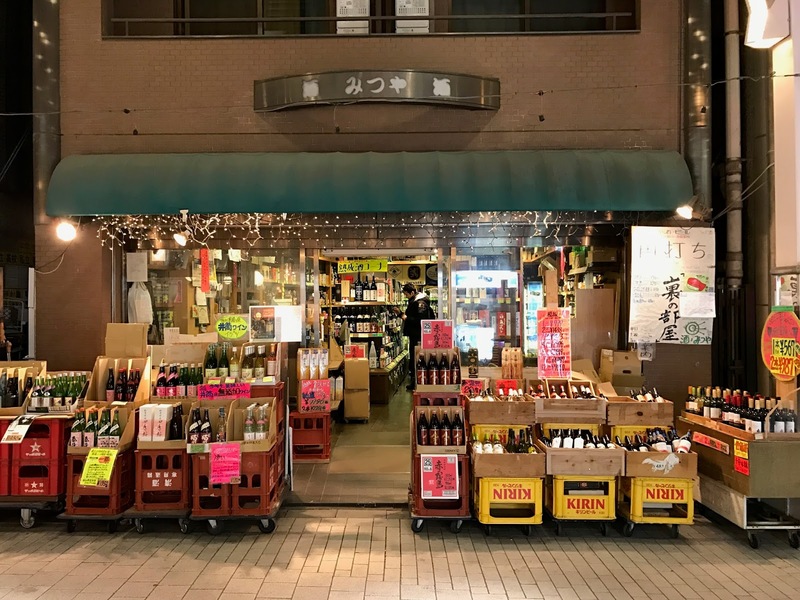 - Bottle shop with a possibility to drink on the premises, tucked away a little way down a covered shopping arcade south of Asagaya JR station. 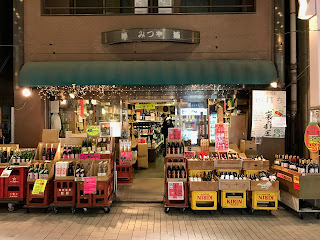 Nearer to the metro (Minami Asagaya), but there's probably more, at least beerwise, towards the JR.
- Fairly large selection of imported bottles with a sprinkling of Japanese stuff in there. Sprinkling is the right word as the Japanese breweries are dotted around all the fridges. Maybe it was arranged by style. I didn't think to check. Beers are predominately from the US, but there's also a decent selection of Belgian and Scandinavian stuff. - Drink on site available out the back (a small fee is added to the bottle price, ¥100 I think). They have two taps which seemed pretty well priced. One was a Rogue beer and one from Ushitora and both were ¥500 for one of those plastic Sapporo cups you see around at events and festivals. Decent serving for the price, I reckon. - As well as beer, they have tons of sake and other types of booze. They serve sake by the cup to drink on site too. So, a decent place to stock up on all types of booze if you are in the area. Have never used the drink on site option out the back, but that's a fun thing to be able to do too. Unfortunately the Japanese selection is pretty limited and pretty uninspiring, so if you're after Japanese stuff you'd be better off going elsewhere. But for imports, particularly US ones, this is a great option.